Shapers SPINE-TEK® is a globally patented technology is and is exclusively licensed to Channel Island Surfboards and Clayton Surfboards. Shapers SPINE-TEK® is a precision moulded fibre-reinforced spine that has been specifically designed & engineered to deliver superior strength, durability and flex based performance to surfboards. SPINE-TEK® innovation enhances the overall responsiveness of your surfboard, injecting it with kinetic energy that transforms into additional speed, power and flow. Featuring a proprietary fibre and resin composition, Shapers SPINE-TEK® is uncompromisingly lightweight and unobtrusive with an impressive strength to weight ratio. SPINE-TEK® absorbs the forces of surfing, loads up on energy and responds with acceleration and drive. Increased surfboard strength. Improved overall performance. Lively responsiveness from your first surf to your 1000th. Shapers Reflex Technology ensures that long-lasting, fresh board feeling. A New Direction for Flex. Shapers SPINE-TEK® manifests a flex pattern not yet harnessed in modern day surfboards. Designed on the principles of elastic stored energy and kinetic moving energy, SPINE-TEK® delivers projection and speed whilst giving your surfboard astonishing strength and durability. Shapers SPINE-TEK® is precision engineered utilising a unique composition of fibres and resin that aligns with the principles of elastic energy. The composition of Shapers SPINE-TEK® has been designed to have a chemical structure that bonds with existing manufacturing materials and resins, helping to make stronger boards that will have a longer life span with increased value. An important feature of SPINE-TEK® is that it does not fail under the normal stresses of surfing. This is a distinct benefit over timber stringers and even carbon, which absorb a certain amount of force before over loading and potentially failing (cracking, snapping, etc). Shapers SPINE-TEK® will also maintain a constant memory, returning back to its natural shape (which is the natural shape of the surfboard). Its All About the Flex. Shapers SPINE-TEK® governs the way in which a board flexes and responds. There are two main flex classifications that define a surfboards performance: longitudinal (vertical: nose to tail) and torsional (horizontal: rail to rail ). 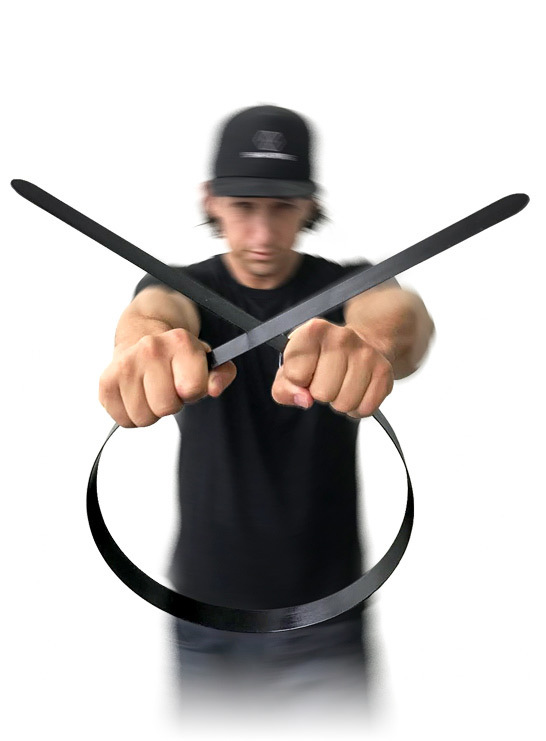 These flex characteristics determine the responsiveness of the surfboard and are an integral part of surfboard design and construction. There is a delicate balance between stiffness and flex depending on the desired outcome. A surfboard flexing in unity with the surfer and the wave is beneficial, for example, holding speed whilst going straight (minimal flex – minimising friction) and then flexing with responsiveness when performing manoeuvres. Tailoring flex patterns to suit different surfing styles, wave conditions and weights optimises performance and will therefore drive the future of surfboard design. Well suited for light to medium weight surfers and a good all-round option providing your surfboard with a balanced and responsive feel that delivers speed, power and flow. Designed for medium to heavy surfers. This SPINE-TEK® loads up (harnesses more energy) and returns with more speed that creates a dynamic feel. FP-2 also offers extra board strength for bigger waves. Ideal for performance Longbaords and SUP’s. Also an option for big wave boards including Tow boards. Does not fail under pressure like conventional timber stringers or carbon layups. Adds structural integrity through integration into the foam blank. Suitable for PU and Epoxy surfboards. Surfboards can be customised to provide precision flex patterns to suit surfers, surf conditions and board constructions. Ongoing responsiveness and lively feel. Maintains a surfboards ‘pop and freshness’ over the longterm. Encourages progressive new constructions such as stringerless PU combined with epoxy lamination. Mitigates friction, particularly beneficial for epoxy surfboards. SPINE-TEK compliments the exact rocker curve of the surfboard, it is in its natural state and will flex and return to this natural state, maintaining a boards magic feel. This is unlike stringer blanks that are bent to fit a rocker and remain in a constant state of stress. Shapers SPINE-TEK© is a slick, slim-line design. Variations in width, thickness and composition determine the level of flex. SPINE-TEK® is available in a range of popular colours to sync in with the surfboards appearance. 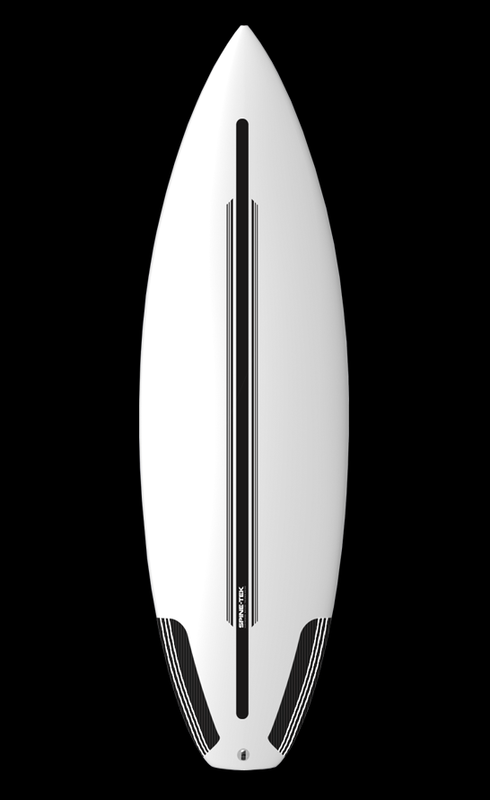 Shapers SPINE-TEK® is pre-engineered to performance based lengths that are relative to the size of the surfboard. Installation is a simple process that compliments the surfboard manufacturing process. Shapers SPINE-TEK® is installed into the foam blank through a router recess and resin lamination. Specific tooling has been designed to assist installation with a customised carriage and router set that accurately create the recessed area. Instructional literature is supplied to ensure user-friendly application. For larger production needs, CNC Machine Software can be programmed to accurately cut the SPINE-TEK® slot for installation (suitable for overhead router machines). Shapers Australia specialises in reinforcement materials that compliment the SPINE-TEK® technology. Please contact us about our woven fabrics including Carbon, Kevlar, Innegra, Basalt, Fibreglass, Hybrids and Shapers new Fused Tapes that are used advantageously with Shapers SPINE-TEK®. The Shapers SPINE-TEK® is a result of years of invested research and development. For over a quarter of a century, the team at Shapers Australia have been at the forefront of innovation, dedicated to supporting the back-bone of the surf industry through arming Surfboard Shapers around the globe with the key tools, materials and composites that drive progressive surfboard design and construction. SPINE-TEK® is the latest technology from Shapers Australia that is guaranteed to improve surfboard strength, flex properties and overall performance. © Copyright Shapers SPINE-TEK is a registered trade mark and an international patent pending technology owned exclusively by Shapers Australia Pty Ltd.